Introducing Valentine Bouquet - Luxury Boxed Valentines Card. Available to personalise now for your special someone! Helping you create your perfect day. Nine beautiful collections to choose from. Welcome to our specialist online boutique - Looney Lizard Creations. Here you will find an exclusive and unique collection of high quality handmade items for those special occasions. I currently offer an ever growing range of personalised luxury handmade cards, personalised photo albums, invitations, and wedding stationery. My handmade greeting card range offers you a wide choice of occasions from: Weddings, Birthdays, Anniversaries, Graduations, New Babys, Christenings, as well seasonal cards such as Valentines and Christmas. Each handmade item is professionally and lovingly hand crafted to order from start to finish and cannot be bought anywhere on the high street, making each item a much valued keepsake gift. You can also be assured of a very friendly and flexible service and I’m more than happy to help in any way that I can. I’m also proud to say that I have many happy returning customers both UK and overseas. So thank you for visting us, we do hope you like what you see. My luxury assortments of personalised handmade cards are hand crafted using only premium quality materials and embellishments. Many of which include genuine Swarovski crystal elements. 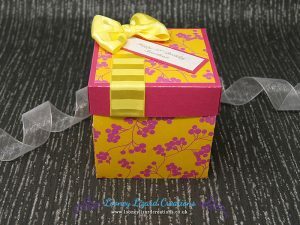 Each luxury card includes a paper insert and will come individually wrapped in speciality tissue paper and presented in its own matching hand decorated gift box, embellished with crystal detail. A modest collection of quality handmade and hand-decorated photo albums which can be personalised on the album cover with your own wording. 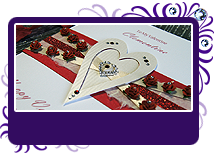 Each album is decorated with genuine Swarovski crystal elements and come supplied in a presentation box making them the perfect keepsake gift for a friend or loved one. 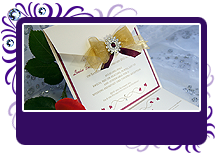 I now offer a beautiful range of handcrafted luxury wedding invitations and stationery. Available in a choice of classic, flat or pocket fold styles. 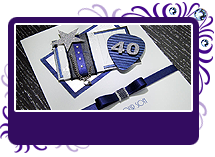 All collections include matching on the day and after the day stationery items such as place names, table numbers, menus, order of service, thank you cards, and table plans. I also offer my exclusive and popular bespoke wedding stationery service were I will design and create your perfect wedding invitations, however simple, elegant or luxurious you would like them. So please do contact me to if you would like something designed for your special day or event. Personalise for FREE, with your own special message. All greeting cards, photo albums and invitations, come with free personalisation’s. This gives you the freedom to customise your handmade item as you wish. Meaning you are not restricted to using any given design for a particular relationship or occasion. I am happy to even personalise cards in other languages too and have done so in Welsh, French, Mexican and Polish. Simply personalise your card in the language you would like the card to be printed in. Say what? Any design for any occasion! Yeap, that’s right you can use any design for any occasion. The choice is all yours to make, so go crazy! Select your preferred design, then just personalise the wording on the product page to your chosen occasion and I will do the rest. If you require additional alterations, please contact me to discuss your requirement. Everything is handmade, making each item unique. Great care is taken on all my handmade items and each item will be individually hand crafted to order with care and a high attention to detail, giving your card a professional look and finish. I am proud to say that none of my handmade items cannot be bought on the highstreet and are only available from my exclusive online boutique. Would you like your card in a bigger size or maybe a different colour? 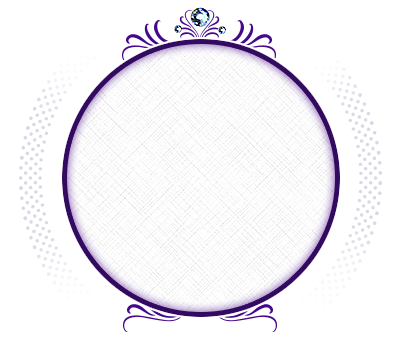 I can add further customisation requests to most of my designs from custom colour requests, additional embellishments (particularly crystal detail), and card size increases (A5 and A4 sizes available). If you are interested in any of the above then please do contact me to discuss your requirements. Please note for card size increases and additional embellishments these services will include an additional cost. Utterly unique as the person the item is intended for. Bespoke/Custom Service Available. If you are looking for something in particular, that’s extra special. I do offer a completely bespoke design service which has been mainly for A4 luxury greeting cards, but I also offer this service for photo-albums, invitations and wedding stationary. Prices will be dependent on time and materials used to create your item. If you would like to further discuss a bespoke item, then please do contact me. Yes, looney ships her handmade items internationally and has been doing so for quite some time. Items are regularly shipped to Europe and Looney Lizard Creations now has a strong customer base in the USA. So don't be shy come on over! "Excellent, wasn’t sure about how to do card layout, but after a quick phone call was reassured." "I really loved the card! And it was really hard to find a place where I can order a card with my personalized messages! But this site helped me! And the service was excellent! 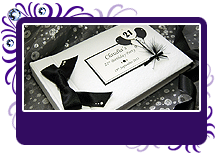 ..."
"I never look anywhere else for special cards, great product - great service- at a good price....."